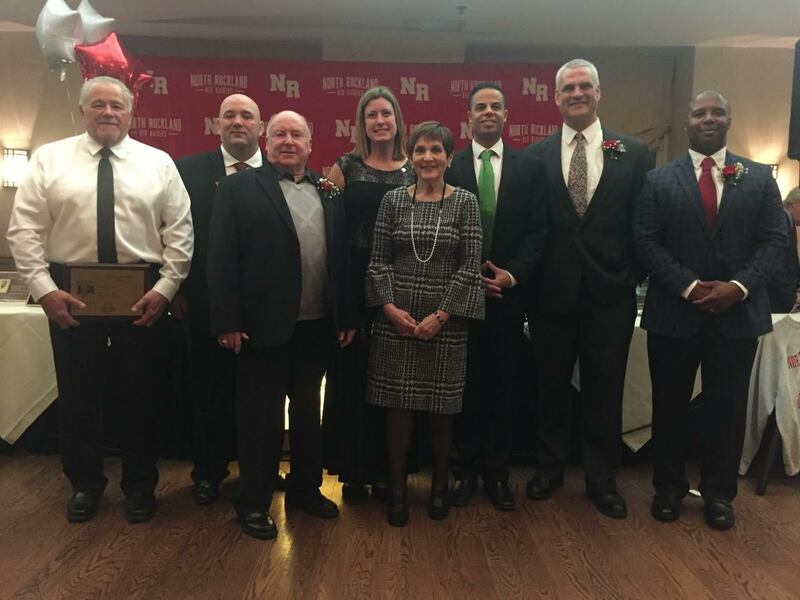 The North Rockland Sports Hall of Fame held its 2018 Induction Dinner in February to honor eight outstanding individuals and the 1993 State Championship football team at the Patriot Hills Club House in Stony Point. Judy Murphy and Carol Senatore presenting award to Coach Robert E. Murphy, and Athletic Director Joe Casarella. The outstanding athletes include Cedric Dawkins(Class of 1986) Football and Basketball; David Dominguez,(Class of 1993) Cross Country and Track & Field; Desiree Hobbs-Dillabough,(Class of 1995) for Volleyball and Softball; Robert E Murphy, Coach of Track & Field and Football; Darren Luzon(Class of 1992) Baseball. Andrew Pappalardo,(Class of 1984) Football & Baseball; Rich Pesci,(Class of 1973) Football and Wrestling. Honorary Members Inducted include Joe Bernardo former NRHS Athletic Dept. 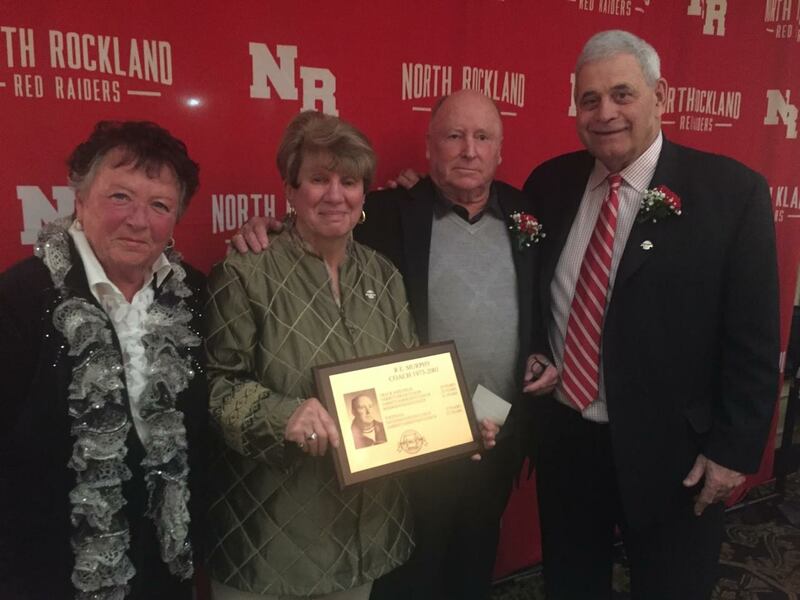 Storekeeper and Pool Operator and an active member & supporter of the NR Sports Hall of Fame Committee since its inception.. Rita Feeney accepted the Honorary Member Award for her late husband Owen Feeney who was a teacher in the NRHS Business Dept.for over 30 yrs. and one of the founders of the NR Sports Hall of Fame. 1993 New York State Champion Football Team with coaches and players from North Rockland High School. 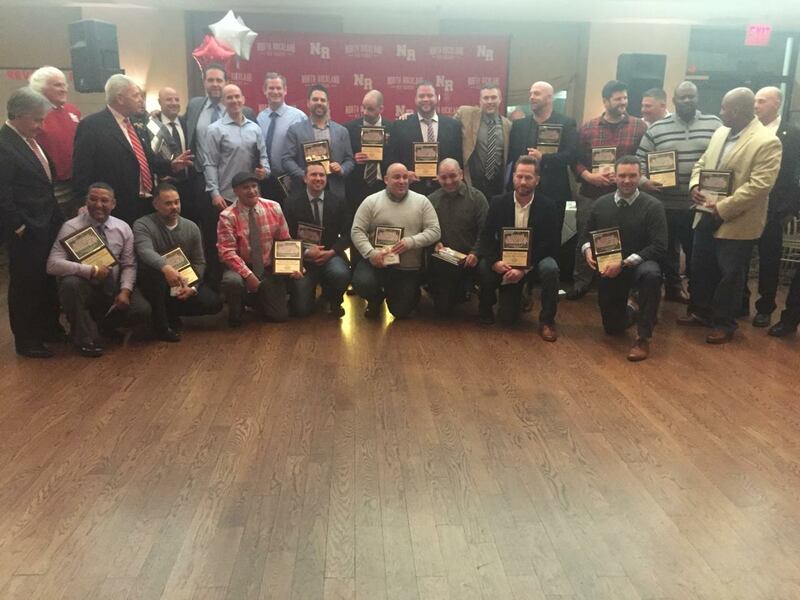 The North Rockland’s 1993 Football Team were the first ever New York State Class A Champions. The program was in the midst of what would become the state’s longest winning streaks-36 games. Many of the players and coaches were in attendance including Coach Joe Casarella, Papo Cancel, Gary Dworkowitz, Dan Keeley, and Pete Warner.